Holocaust survivors’ group urges German authorities to intensify search for 89-year-old Ursula Haverbeck, convicted of Holocaust denial. A Holocaust survivors’ group on Sunday urged German authorities to intensify their search for a notorious neo-Nazi who didn’t show up for her prison sentence, The Associated Press reported. 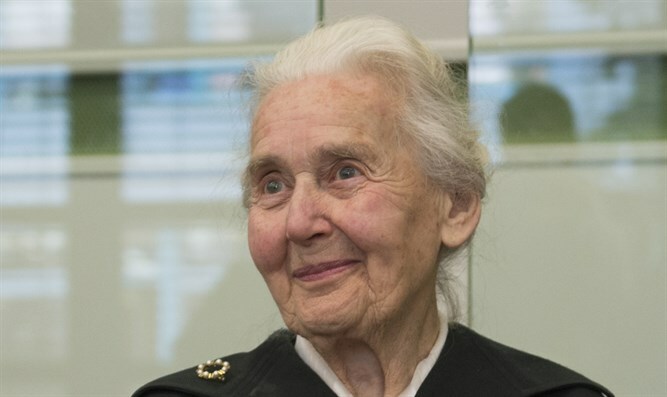 The International Auschwitz Committee said it hopes that Ursula Haverbeck, 89, who has been sentenced to two years in prison for incitement, will soon be found. Haverbeck, who has been dubbed the “Nazi grandma”, was sentenced in November of 2017 to 14 months in prison over Holocaust denial, which is a crime in Germany. She was supposed to start her prison sentence on Wednesday in the town of Bielefeld but failed to show up. Haverbeck was sentenced by a district appeals court in Detmold after appealing her 2016 conviction for writing to the Detmold mayor during the trial of an Auschwitz guard claiming the death camp was only a labor camp. In closing arguments at that trial she again denied the Holocaust, prompting another conviction. Several courts have sentenced Haverbeck to prison sentences in the past, including a Berlin district court in October, but Haverbeck had previously remained free pending appeals. Local paper Westfalen-Blatt reported that Haverbeck’s home in Vlotho in central Germany seemed empty for days with mail piling up in front of the door.